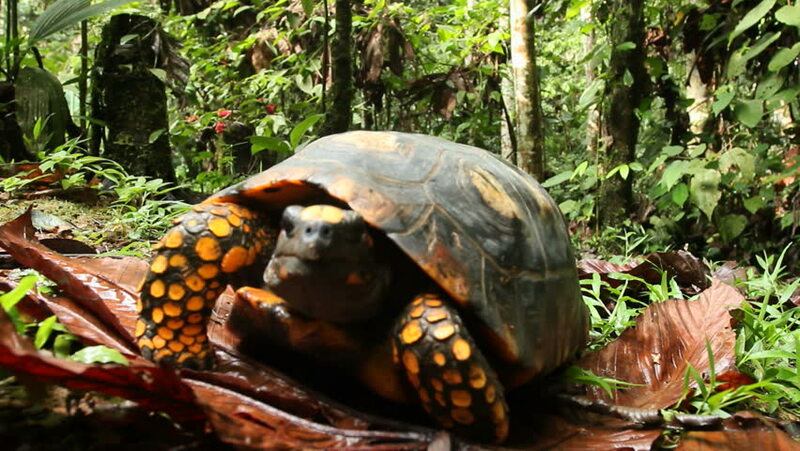 Yellow-footed tortoise (Chelonoidis denticulate) walking on the rainforest floor in Ecuador, low angle tracking shot. hd00:13Overflowing water on the jar. hd00:08Front on shot of giant tortoise with neck extended on green grass backdrop in the Galapagos Islands. hd00:21Female Sparrow hawk feeding on feral pigeon kill o urban house lawn. 4k00:19Woman in red boots raking Fall leaves with rake. girl raking Fall leaves with rake.